We all have different callings in life. For attorney Don Kidd, it’s representing people who have been injured and providing the best legal representation for them. That has been his mission for over 25 years. Did you know there are caps on what you can recover in a Texas medical malpractice case? Attorney Jim Perdue Jr. along with Attorney Don Kidd sit down and talk about the basics of Texas medical #malpractice. There is no easy answer to that question because each case is different. Some cases are complex or zealously contested and take a long time to resolve through trial or settlement–as much as two or more years. Other cases resolve more quickly because the liability is fairly clear and the party that caused the wrongdoing accepts responsibility so that the focus is on the amount of accountability. 18-wheeler wrecks happen frequently in the United States and often result in injury or death. Commercial truck carriers and insurance companies will do whatever it takes to keep from being held responsible and they’ll try to settle your claim for as little as possible. 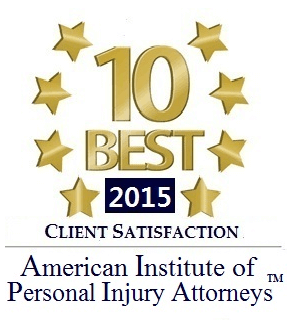 It’s important to have your potential claim reviewed by a law firm like Perdue & Kidd as soon as you can. Pitocin is the drug used to induce labor by starting contractions. They have used it for decades, but it is a dangerous drug. Pitocin can overstimulate the uterus and labor induction with the drug can cause injuries to babies in a variety of ways. If you or a loved one has ever had a question about the medical management and fetal monitoring during an induction of labor using Pitocin, call Perdue & Kidd. We will investigate the potential case and see if all was done according to the standard of care. According to Statista.com, in 2017, about 89.7 million dogs lived in households in the United States as pets. The question comes up from time to time, who is responsible when a dog bites someone? In Texas, it’s usually the owner of the dog. What To Know About Product Liability. People think the Food and Drug Administration test devices to make sure they are safe but they don’t. The Federal Government can not assure the safety of the medical devices that are implanted into individuals all across the country. The government may clear devices but that doesn’t mean they are safe. Car wrecks happen every day in a city as big as Houston. The first thing you should do if you are in an accident is take care of your health needs and those of the others involved. Your adrenaline elevates after an accident, so you may not feel you need medical care while on the scene. Nevertheless, let the emergency medical personnel evaluate you. Automobile insurance companies have their adjusters get involved with trying to settle claims immediately after the wreck. Despite the fun and friendly television ads, insurance companies are not your friend and they are not in the business of quickly and fairly paying your claim. So, once your medical needs are attended to, go see a lawyer. Texas Has Banned Texting & Driving: What To Know. The state of Texas banned texting and driving. Here are a few things you need to know concerning that law. Insurance companies want to make you think they are your friend but should you believe your insurance adjuster? Did you know there is about 25% of people driving around with no car insurance at all? In a city as big as Houston, it’s important to understand the importance of car insurance.